Raipur, March 20: A constable of Central Reserve Police Force (CRPF) serving in CoBRA battalion allegedly murdered his wife at their residence in Chhattisgarh’s Jagdalpur on March 16. The incident took place after the CRPF personnel's wife reportedly tried to stop him from going on Lok Sabha election duty. The police arrested the accused. According to reports, the constable of CRPF’s commando battalion tried to portray the murder as a suicide. The accused has been identified as Guruveer Singh. Gujarat: In Rage Vadodara Man Kills Wife With Axe, Injures Sons, Then Commits Suicide. The incident took place on March 16, after the couple had a heated argument over Singh going for election duty in Bijapur district. In a fit of anger, he strangulated his wife and informed the Nagarnar Police that she had committed suicide. 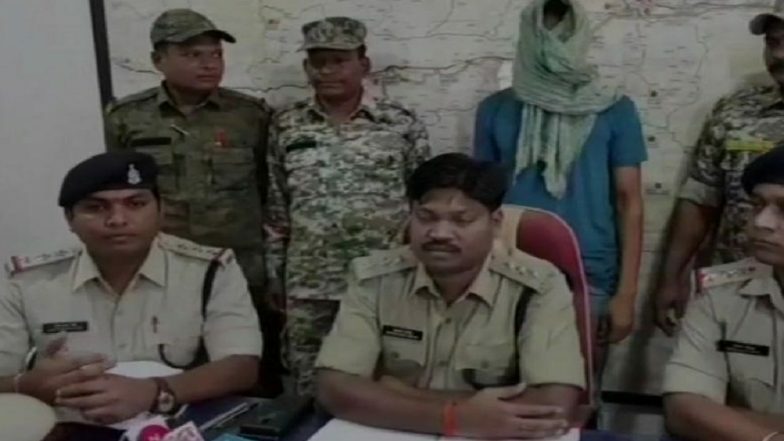 “Constable Guruveer Singh, who lived in the headquarters of CRPF’s 201 CoBRA battalion, had strangled his wife Anupriya Gautam at the government quarters,” reported Hindustan Times quoting Jagdalpur’s Superintendent of police Hemsagar Sidar as saying. Jodhpur Man Kills Wife And Son, Tries to Hang Self But Fails to Gather Courage. However, the post-mortem report exposed Singh’s lie, and in the police interrogation, he confessed his crime. Meanwhile, the polling for Lok Sabha elections 2019 in Bijapur district of Karnataka will take place in the second phase on April 18, and the result will be declared on May 23.